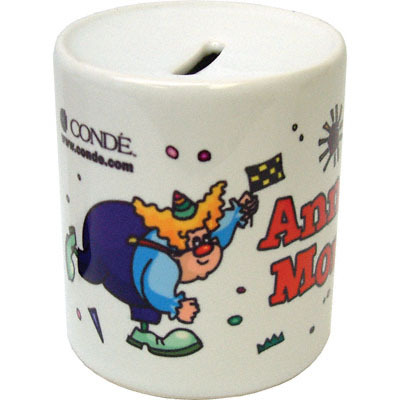 Sublimation Coated Coin Bank, Ceramic, White, 10.375" x 3.6875" tall. These great banks leave a lot of room for sublimation imagination! Add your theme and these banks will be moneymakers for everyone! Remove plug when pressing. 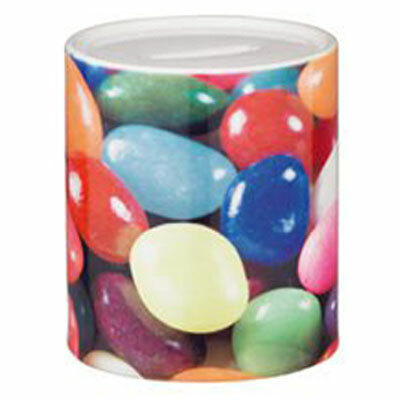 DyeTrans® Coin Bank, Sublimation ready Ceramic, White Gloss finish, 10.25" x 3.8125" Tall. This bank may be imaged with a George Knight DK3 mug press.